How do I find my tournament pass? If you purchased a legendary or shiny legendary pack that contained a tournament pass, then you’ll need to follow this quick setup to view or transfer your token(s). 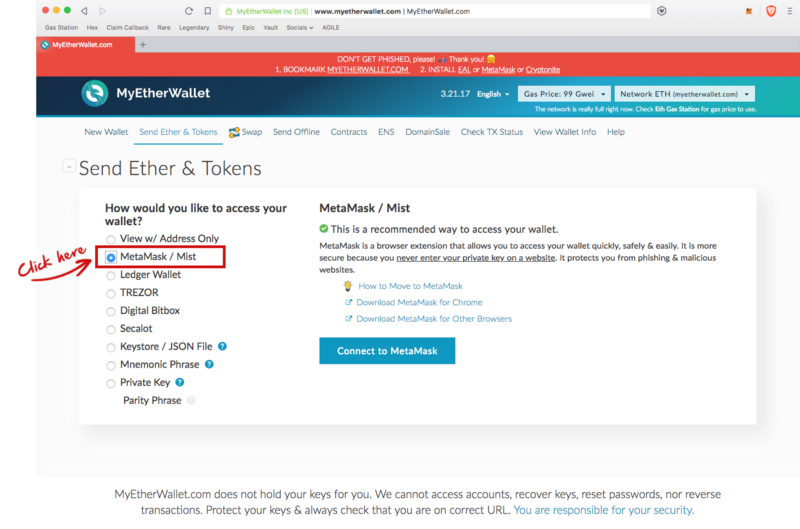 Step 1: Go to https://myetherwallet.com and click the section on the right that says “Connect via your MetaMask Extension”. 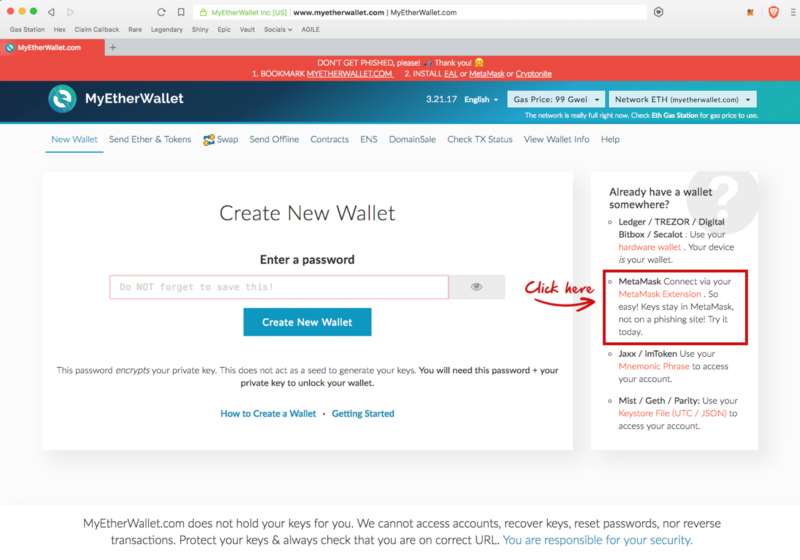 Step 2: Select MetaMask / Mist from the choices on the left and then click “Connect to MetaMask”. Step 3: Click the button on the bottom right hand side of the screen that says “Add Custom Token”. 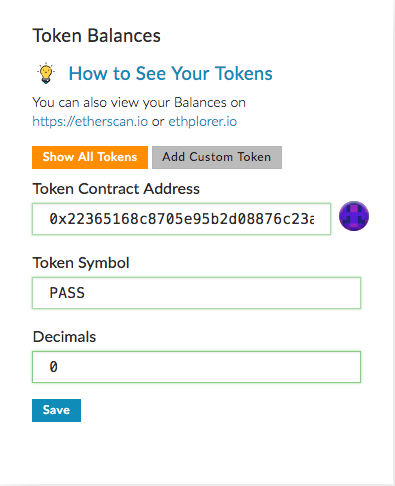 Your tokens now show up as “PASS” in MyEtherWallet. 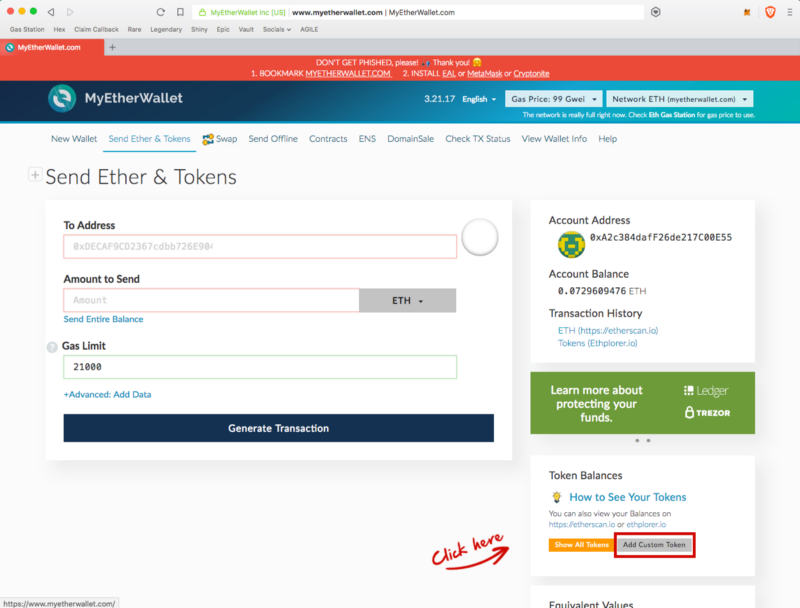 You are also now able to send them to another Ethereum address!